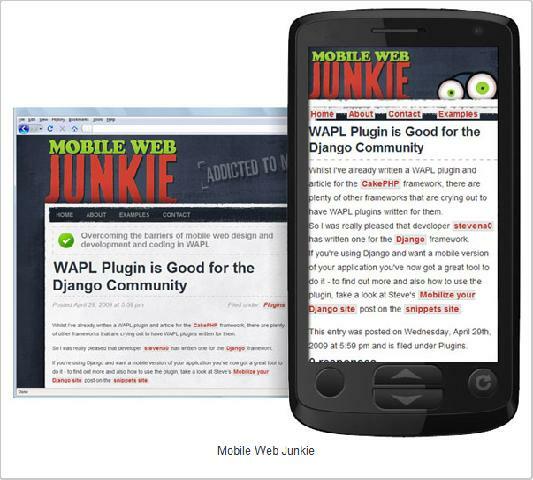 This package can be used to create pages optimized to all mobile devices. It can access to Wapple.net Web services API to pass the mobile device identification and retrieve information necessary to render pages adapted for the device, like the device screen size, choice of correct markup and the device capabilities. A builder class can be used to generate the page definition in the WAPL XML format that is passed to the Web service, which renders the page adapted to the given mobile device. Prize: One book of choice by Apress Creating Web pages to be viewed in mobile phones is not a trivial issue. Each device has its display size and other constraints that require the page definition to be adapted accordingly. This class provides a simpler solution that consists in using the Wapple.net Web services API to render pages adapted to each type of device with minimal customization effort.